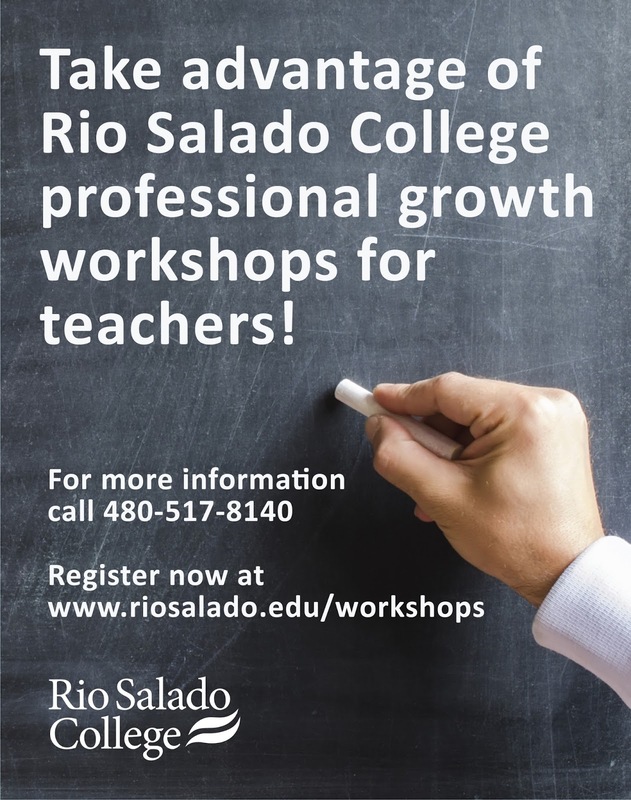 Join Rio Salado College's Teacher Education team for a series of free, educator workshops this summer! Explore some innovative H.O.T. (H=Handy; O=Outstanding; T=Time-saving) Web 2.0 Tools, such as: wikis, Google sites and digitized interactive notebooks, integrated with empowering Active Engagement Instructional Strategies that will help you connect with students and create a challenging and energized classroom environment. Design your course around outcomes, teach with passion and develop some Web 2.0 Tools that assist in checking for understanding as your students engage in the lessons. Many teachers become the “sage on the stage” rather than the “guide on the side”. 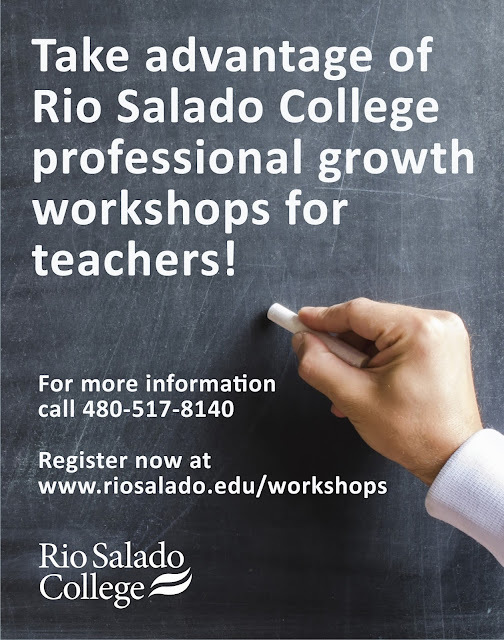 This workshop will help teachers develop activities and techniques that will actively engage their students in the learning experience. Workshop participants will see active learning techniques demonstrated and perform actual hands-on math and science activities as models for their classrooms. Everyone will come away with some high tech and low tech activities that are both fun and challenging for students. These techniques will help promote both Common Core and Next Generation Science Standards for math and science teachers. Implementing these ideas with students will “supercharge” the learning that goes on in virtually any classroom. This is a part one of the workshop (each workshop will stand alone if you cannot make both dates). This workshop is a continuation of the Strategies of Engagement Part A elevating participants’ strategies for actively engaging students and diversifying classroom management techniques. Through demonstration and hands-on activities, teachers will be motivated to examine how the mode of presenting classroom demonstrations can affect student learning and make learning fun. Discover new techniques which promote both Common Core and Next Generation Science Standards for math and science teachers. This workshop will help teachers bring true hope to at-risk youth, adolescents who are less likely to transition successfully into adulthood and achieve economic self-sufficiency. Workshop participants will engage in activities and discussion to better understand the at-risk students’ emotional or behavioral problems, truancy, low academic performance, showing a lack of interest for academics and expressing a disconnection from the school environment. Learn how to build and motivate student resilience to have a strong sense of purpose and a belief in success; including goal direction, education aspirations, motivation, persistence, and optimism.